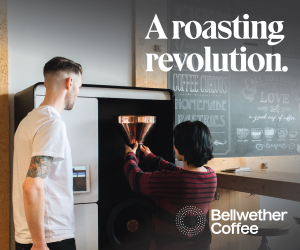 In food applications, it’s always refreshing to see coffee treated as the vibrant, dynamic ingredient that it is, rather than a kind of dark, roasty afterthought. 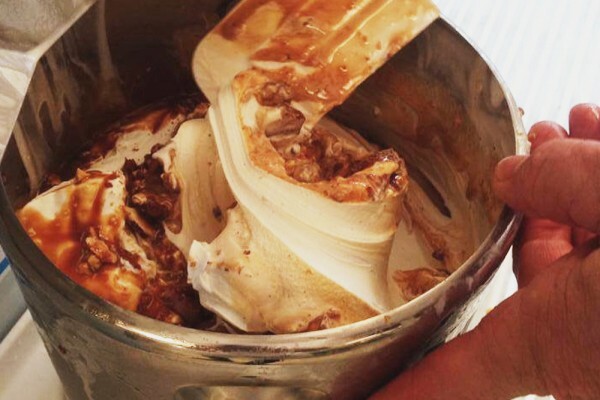 Also always refreshing are coffee-infused cold dairy treats — in this case, the world’s best gelato. 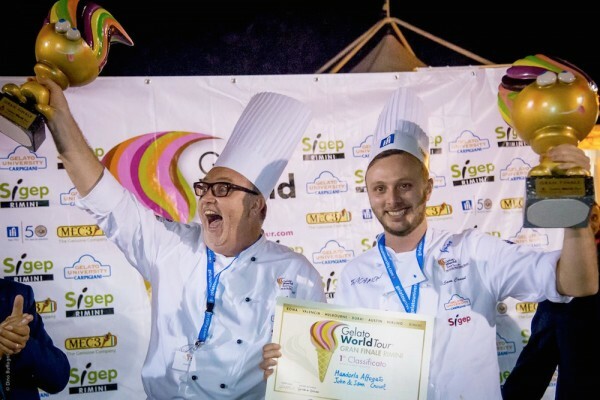 Cow and the Moon in Enmore, Australia, recently took top honors at the Gelato World Tour — the world’s premier competition for Italian-style craft gelato — in Rimini, Italy, with a coffee-based recipe that beat out creations from some of the world’s top gelatorians in 22 countries. Kenyan coffees were our go-to to achieve that combination of lick-smacking bright and rich, complex, tropical coffee notes… An outstanding Kenyan coffee would be able to stand up to and burst through all the rich dessert flavors. 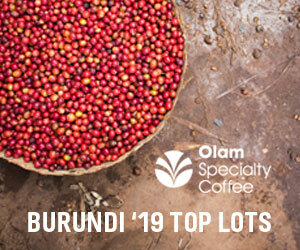 Kigwandi AB Kenya, a coffee that our Buyer and Head Barista had selected at Dormans on an origin trip earlier this year, came out as the crowd favorite, followed by Kigwandi AA and Mirigi PB. The Kigwandi AB was noted for its juicy cherry, peach and plum notes, vibrant grape acidity and long creamy toffee finish. But the selection didn’t end there. 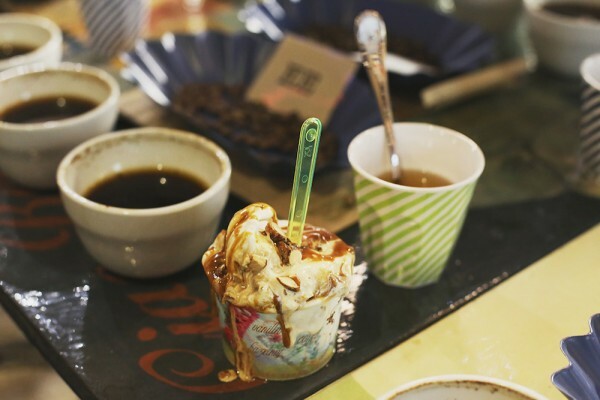 All three coffees were then roasted to evaluate espresso, which would be poured directly into the sauce and folded into the gelato at the time of service. 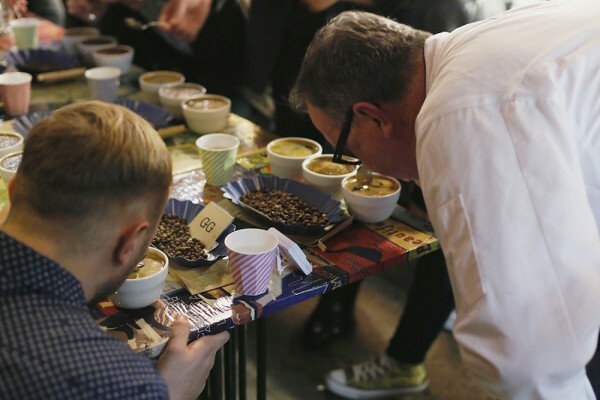 “Six days later, Sam Crowl joined us at our Roast Works Cupping Lab to taste espressos and then taste how they held up to being matched with the salted caramel sauce. Kigwandi AB Kenya came out on top again,” Single Origin says. The rest, as they say, is history, with Cow and the Moon beating out Italian gelato makers Francesco Mastroianni of Il Cantagalli and Alessandro Lancierini of Gelateria Fiore for the top spot in the finals. Let this be a lesson to food-makers everywhere: If you want to be a champion — nay, a world champion — treat your coffee with respect. I actually beg to differ. When using coffee as an ingredient, instead of a showpiece, you can often get better flavor results from something surprisingly less “pedigreed”. For example, if Starbucks used actual pumpkin in their foul pumpkin spiced latte, I doubt it would have nearly as many fans. Firelit did this when creating a coffee liqueur using Blue Bottle coffee, and I have to say — there are times where grandma’s spaghetti sauce recipe actually work best with the canned stuff. Top-line raw ingredients don’t often result in a better composition necessarily.